There are lots of non-surgical procedures used at our skin care clinics that boost self esteem by enhancing and improving skin tone and features but the 8 week non surgical face lift combines the best of treatments in a 1 hour 30 min session which produces fantastic results in 8 weeks. The non-surgical face lift involves numbing the skin 30 minutes prior to treatment. I will use filler to the required facial areas, discussed at your initial consultation, selecting the filler that is most suited to your needs. Please take a look at our pictures and click through to our press feature to see examples and wonderful reviews. At our network of clinics Frances uses a range of Dermal fillers that are simple and safe, and a wonderful alternative to more invasive therapy. I am able to reshape imperfections, clear skin complaints and plump areas that have lost elasticity. Also on offer is a wonderful way to treat tired eyes. Please take a look at the pictures and click through to Woman & Home to read real customer reviews. We will use skin peels and intense pulsed light treatment as well as antibiotics – all discussed at your consultation. The impact of our procedure on your confidence and life can be truly great, or very subtle. We will chat to you about the whole process and will be honest about what kind of results you can achieve. Many Perfect Skin clients love the idea of achieving the perfect pout, especially those not naturally blessed with fuller lips. Frances is a perfectionist and is a recognised expert in carrying out safe treatments that help create desirable and seductive lips. By injecting the lips we make them as voluminous as required, which in turn improves the surrounding lines for a younger and sexier look. 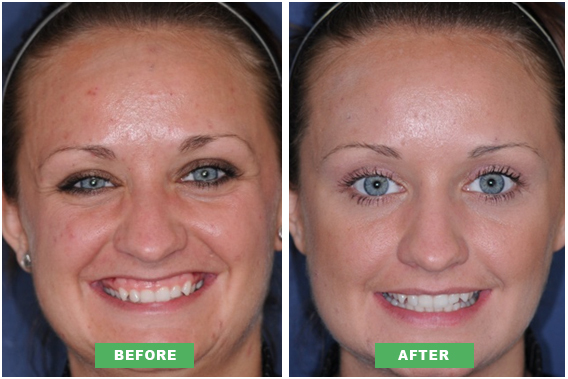 Using injectable fillers we can target certain areas that you are unhappy with. By counteracting the negative ageing effects to skin, treatment will enhance the features around the face, décolleté and hands. Excessive sweating under the arms can cause genuinely low self esteem. The highly effective treatments offered by Perfect Skin can last up to six months, the muscle relaxing injections helps block nerve endings and prevent sweat glands from over producing fluid. Muscle relaxing injections also assist in the relief of powerful migraines. All of our clients come to the Perfect Skin care clinics to achieve aesthetically pleasing results from non-invasive and non-surgical treatments. Tired eyes can benefit from safe use of rejuvenation treatments. We exfoliate the eye area with care, and blast it with refreshing mesotherapy to achieve remarkable and luminous results that last. Frances will always make sure you are confident and happy about undergoing one or more of the non surgical procedures on offer. We will make sure you are comfortable with us before, during and after the course and will be here to contact should you wish to speak to us about your treatment. It’s important to research every non surgical treatment on offer to ensure that the procedure you choose is best suited to your skin, and what you wish to achieve as a final result. I will always work with you to design a course of procedures that will best suit you, your skin and that fits in around your busy lifestyle.